Here comes another good child from the reliable family of Toyota. 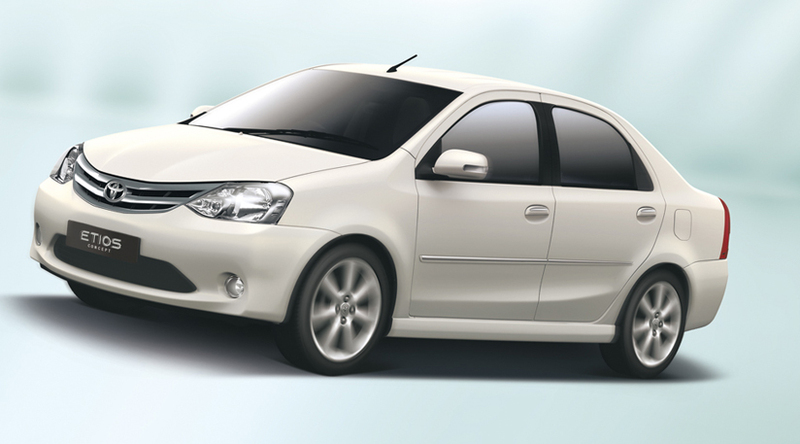 Toyota Kirloskar Motor has launched the Etios sedan in India. The base version starts at Rs 4.96 lakh. The mid-level G-variant will cost Rs 5.46 lakh and the same version with the safety pack including airbags will cost Rs 5.96 lakh. The higher end V-variant will retail for Rs 6.41 lakh, while the fully loaded VX version will go for Rs 6.86 lakh. The car now comes with a 1.5-litre petrol engine which makes 90bhp of power and a torque of 132Nm. The car is fitted with a 5-speed manual gearbox. For now, both the engine and the transmission will be imported, but the remainder of the car, amounting to 70 percent of the parts, has been localized. The Etios concept duo was first shown at the 2010 Auto Expo in New Delhi earlier this year. The car has been brought out offering a tough fight to other entry level sedans. With this pricing, the car is expected to take the fight straight to the Maruti Suzuki Swift DZire, the current leader of the segment which is popular enough to demand long waiting periods. Also in the crosshair of the Etios will be the likes of the Tata Indigo Manza and the Mahindra Logan. 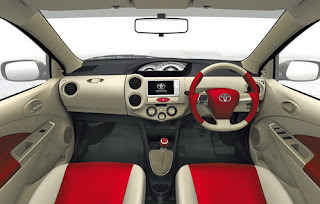 Toyota also revealed that Etios hatchback will be launched in April 2011, and will be called the Etios Liva. For now, Toyota's plans are to make 70,000 units of the Etios in 2011. It is a very nice information about Toyota Etios car.If anybody Wants to Buy Toyota Etios Tyres Online please visit Tyreonwheels. 687.71 million mobile connections in India!!! A Laptop with two screens!! !